People’s Platform: A Vision for Labour? The “People’s Platform” will be a collaborative effort between numerous politically interested individuals. It will include essays on areas of policy that Labour could improve on to be more in tune with its members and supporters, but is independent of the Labour Party, and does not necessarily represent the Party’s views. It will also include input from supporters of other political Parties, with ideas on how Labour could appeal to a broader base. These will also examine Labours past achievements, like the NHS, and attempt to present a vision for the future. The finished collection of work by Labour supporters will be submitted to the “Refounding Labour” initiative. If you are interested in writing for this project, as a number of people have suggested they are, please email me a suggested title or theme to: Harry.Langford [at] btinternet.com. Ideally, the proposals will be somewhere between 500-1500 words long, although both longer and shorter pieces will be warmly welcomed. They could be on Labours history, particularly the legacy of the last Labour Government, and how these achievements could be built on. The idea of this collaboration is not to push one ideological view. It will incorporate many different ideological perspectives, from across the Labour family. The Link with the Unions. Any and all other topics will be included in this work. If you have a more specific idea of what you would like to write, please leave a comment below so that others can see it! The deadline date for submissions is Wednesday the 29th of June, with publication set for the 1st of July. If you are interested in this idea, I would appreciate if you would tweet the link to spread the word about our project! 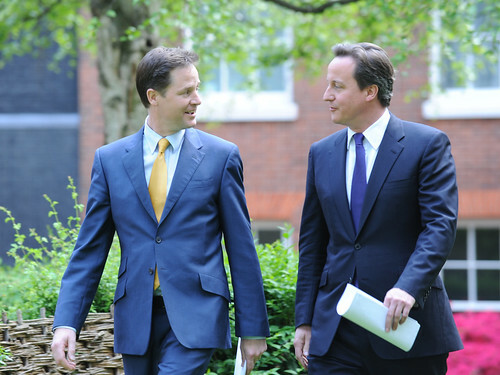 Coalition to continue even if The Tories win a majority? It would certainly provide political cover to Cameron to continue his modernization of the Tory Party. “Proper “Tories don’t seem happy about it either. I wonder what Simon Hughes and the “social” liberals think of that? The Rally Against Debt is currently underway in Parliament Square. Turnout is said to be between 100-250. 183 people have “liked” the event on Facebook. Later estimates by the Met confounded all expectations. 350 people attended! For comparison, between 250,000-450,000 people attended the “March for The Alternative” and 8,000 people attended the Hardest Hit march through Central London. It’s says a lot about the popularity of the campaigns. One seeks to cut, as the placards say “harder, faster and longer”. 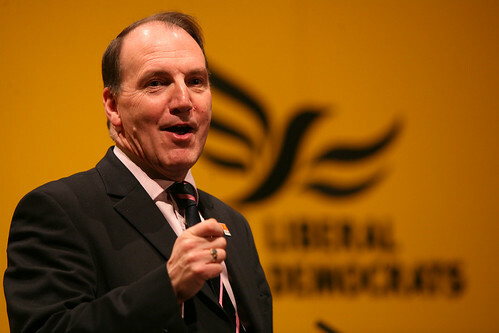 The other seeks to protect jobs, and protect valuable frontline public services which are being cut by the Conservative-Liberal Democrat Government. Would the same marchers support plans to cancel all “Third World” debt? UPDATE: Rumours on Twitter that Toby Young missed the rally to go to an exhibition at a publicly funded museum. You couldn’t make it up…. !